Norman Reedus has been busy with the press interviews lately, promoting his upcoming science fiction film AIR, produced by The Walking Dead creator Robert Kirkman, and The Walking Dead Cast’s season five preview panel at Comic-Con International in San Diego July 25. And we’re glad, cause he’s saying a lot of interesting stuff. Every Daryl fan’s nightmare is that their favorite character will get killed off. 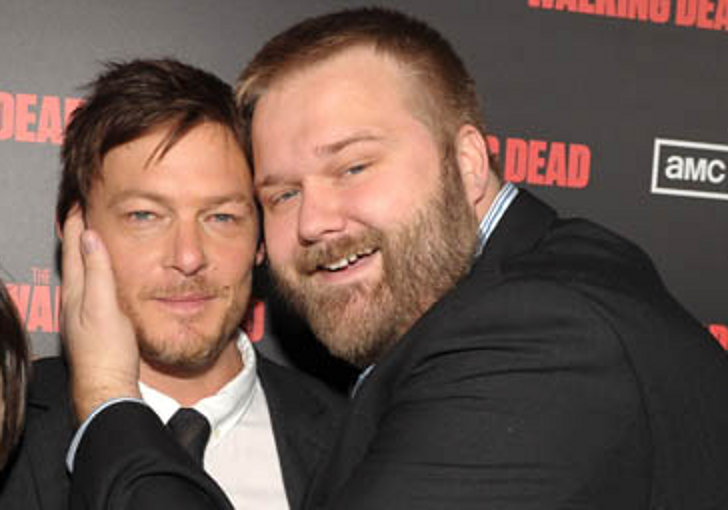 And at one point, Reedus reveals to Entertainment Weekly, he actually thought that had happened, thanks to an ominous-sounding voice mail from Robert Kirkman. 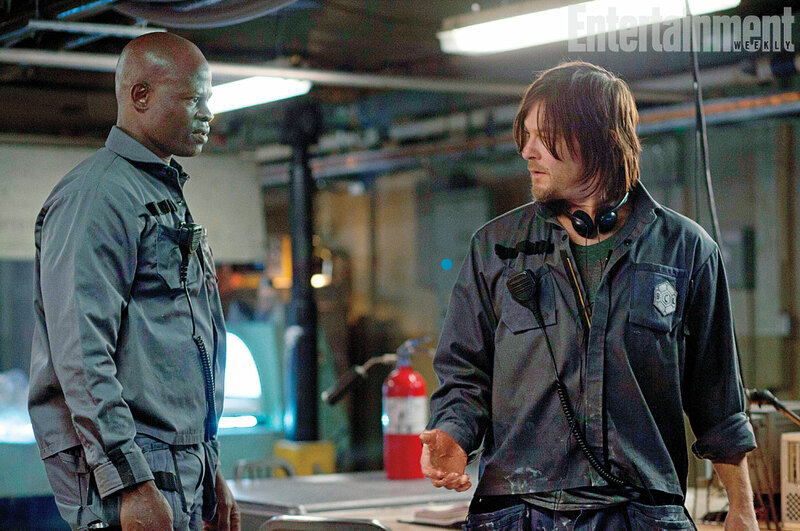 That project was AIR, starring Reedus and Djimon Hounsou, so no riots were necessary. Speaking of which, Reedus says he’s flattered by the “If Daryl Dies We Riot” meme and tells the Huffington Post he’ll be right there with the rioters if it happens. “I’ll be the first one to light a match. I love it. I’ve put a lot of effort into this character and a lot of thought, as have the writers, directors and producers. It’s the role of a lifetime for me. 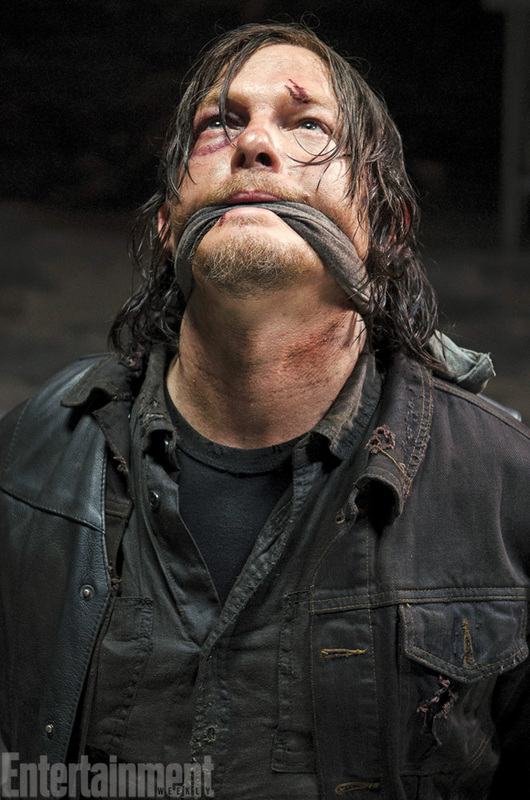 When I hear things like, if Daryl dies we riot, it just makes me happy. I take it as a compliment and it makes me just work harder at the character. But if that goes down, I’ll be passing out books of matches,” Reedus said. He also said fans will have plenty to freak out about in the next season. “Yeah, there’ll be several. I can’t tell you if or who would die but it is ‘The Walking Dead,’ we sort of have a track record of being fearless when it comes to that sort of thing. Grab your tissues,” Reedus said. Finally, Reedus says if he could name his crossbow, he would name it Mary Ann. “It’s my mom’s name,” he said.